Thanks to its delta structure and its components it can obtain quality finishes at great speed. 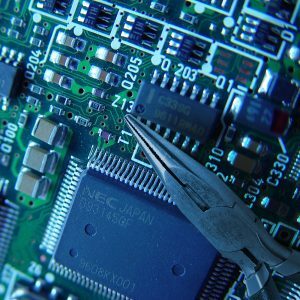 We are located in Barcelona and can provide real technical support, as the design and manufacturing is our own. 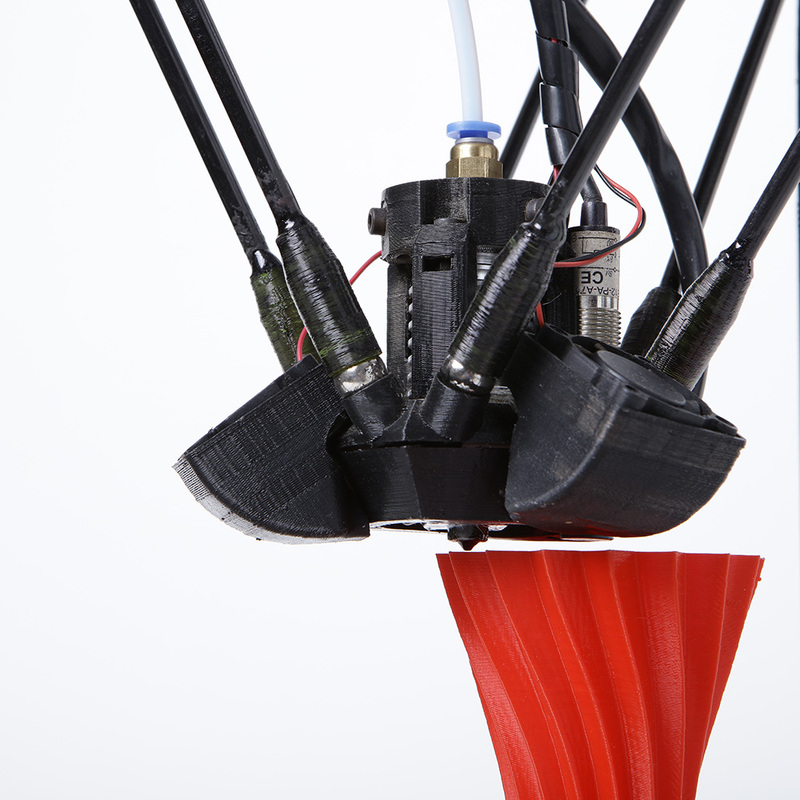 DELTA BLACK is a 3D printer made 100% en Barcelona from the design to the assembling. 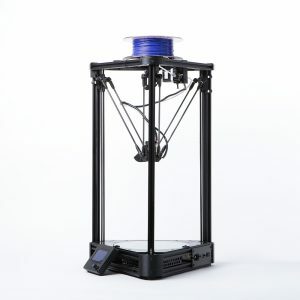 The DELTA BLACK is faster than any traditional Cartesian 3D printers, and it doesn’t loose quality in the final result thanks to its components with OpenBeam V-SLOT and a Hot End Full Metal. Printing speed reaches up to 500 mm/s. The heated bed enables greater adherence of the material, thanks to the fact that the base temperature would be greater than the surrounding temperature. The material will not suffer such a temperature difference once extruded. This is essential for printing ABS. 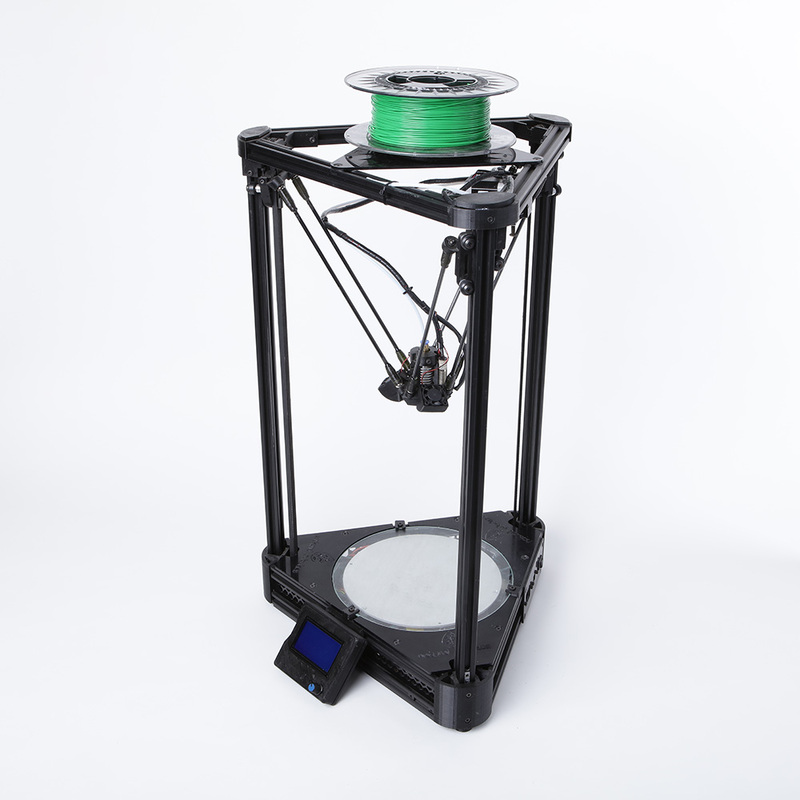 Many of the DELTA BLACK components have been built for other 3D printers witch simplifies maintenance, as the pieces can be easily replaced and allows you to DIY (do it yourself). The main structure is made of aluminium. The positioning drives are carried about with toothed-belts that do not require much maintenance. – Open Source: all the information is at hand. You can modify, print spare parts, etc. – 0,40mm Hot End Full Metal. 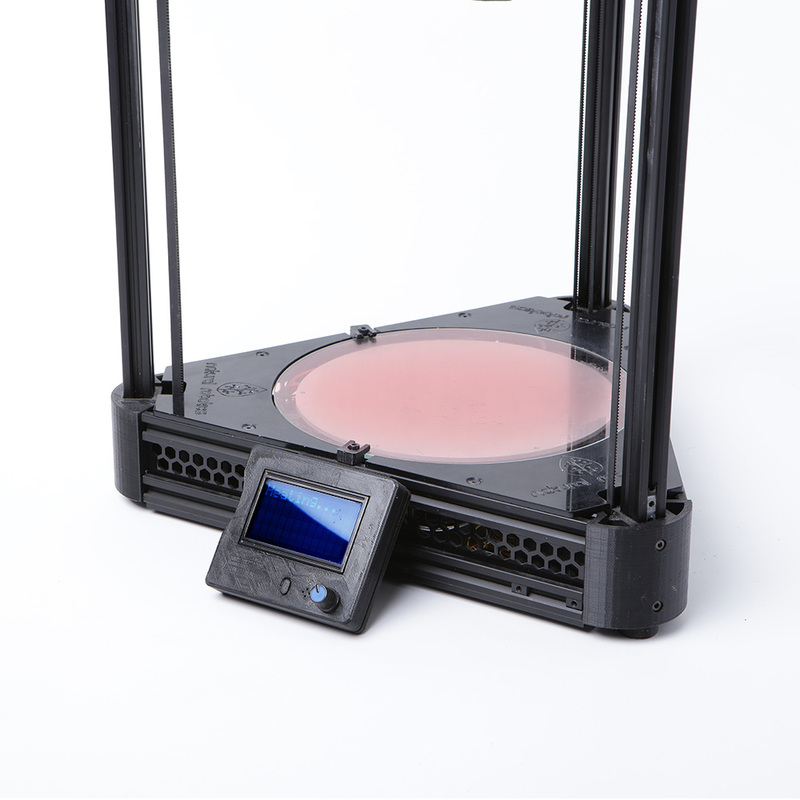 Allows printing on any available material for FFF: PLA, ABS, nylon, etc. 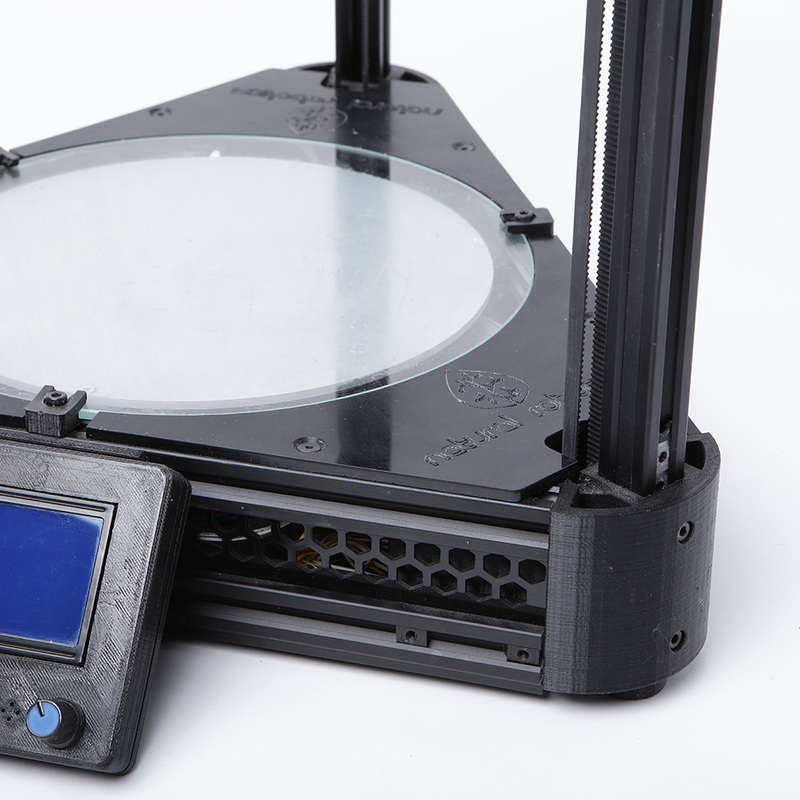 – Heated bed, for greater adhesion and reducing warping. – Speed without loss of quality thanks to its Bowden system and OpenBeam V-SLOT.